Today, I gave a presentation about TheAnthroGuys‘ core competency: Analytic Induction that gets practiced in search of opportunities to “add value“. This is a rather clunky way to express what we do but we are still sharpening our ‘laser focus’ so bear with us. Once we reach Gladwell’s 10,000 hours, I’m sure it will sound better. Ethnographers and entrepreneurs share a reliance on inductive skills to accomplish their goals. Once this is understood, we can learn a great deal from each other. In two weeks, I will return to their class to continue this discussion. My hope is that some – if not all – of these students will see the value of this skill set. Elsewhere, we have observed that our world is utterly overshadowed by ignorance, yet few people notice this. Ethnographers and entrepreneurs share a reliance on inductive skills to accomplish their goals. Once this is understood, we can learn a great deal from each other. Read this article http://www.theatlantic.com/magazine/archive/2013/03/anthropology-inc/309218/?single_page=true from The Atlantic entitled, “Anthropology Inc.”. Or, Watch the clip that was attached to the above article http://bcove.me/k6szvgkh from The Atlantic. -Watch: Parc’s use of these techniques. The directions for the Assignment are in the presentation slides. I have included how the assignments are evaluated but the main point is that this is NOT rocket science. Rather, it’s social science! Applied systematically, humans’ natural observational skills can notice things that are typically ignored. With some analysis, suggestions can be made to improve lives, products, profit margins, whatever. If you have further questions about the assignment or the course, feel free to contact me. Note, the following table is used to evaluate these assignments. My personal desire to question deduction’s seduction has motivated my search for the truth in many different places. Although some avenues of inquiry have proffered little, I was excited to find Michael Scroggins’ “Ignoring Ignorance: Notes on Pedagogical Relationships in Citizen Science” in Engaging Science, Technology, and Society 3 (2017). It is high time that we let go of our adoration of “knowledge” and the high price that that form of worship requires and look more honestly and empirically at the world. The following quotation depicts the value that can be gained by problematizing knowledge and ignorance from Scroggins’ refreshingly new angle. My hope is that this article is the start of a new approach that will result in more realistic appraisals. This ethnographic report of the struggles of citizen scientists comes from the field of STS (Science, Technology & Society) but do not assume that such an approach is limited to the “tech world”. We can attribute much of these first steps to Columbia Universtiy it seems. Scroggins, a Columbia graduate is building his argument upon Varenne and Firestein, two Columbia faculty from two different colleges who are working from the same idea yet from very different perspectives. Whereas Varenne’s search for value in ignorance is grounded in Ranciere’s philosophy of education, Firestein’s approach is grounded in the philosophy of science. Regardless of their varying starting points, we can see that the value of this idea is richest in its application as Scroggins has so eloquently illustrated. Firestein, Stuart. 2012. Ignorance: How It Drives Science. New York: Oxford University Press. Ranciere, Jacques. 1991. The Ignorant Schoolmaster: Five Lessons in Intellectual Emancipation. Stanford University Press. Varenne, Hervé. 2009. “Conclusion: The Powers of Ignorance: On Finding out What to Do next.” Critical Studies in Education 50 (3): 337–343. Yesterday, I gave a presentation about TheAnthroGuys‘ core competency: Analytic Induction that gets practiced in search of opportunities to “add value“. In a few weeks, I will return to their class to continue this discussion. My hope is that some – if not all – of these students will see the value of this skill set. Read this article http://www.theatlantic.com/magazine/archive/2013/03/anthropology-inc/309218/?single_page=true from The Atlantic entitle, “Anthropology Inc.”. I have included how the assignments are evaluated but the the main point is that this is NOT rocket science. Rather , it’s social science! Applied systematically, humans’ natural observational skills can notice things that are typically ignored. With some analysis, suggestions can be made to improve lives, products, profit margins, whatever. Apocryphal or not, I love the idea that Plato carried a sentiment about the younger generation that we hold today. The next time you are thinking, “the kids these days are so….” remember that that may not be as unique an observation as you assume. 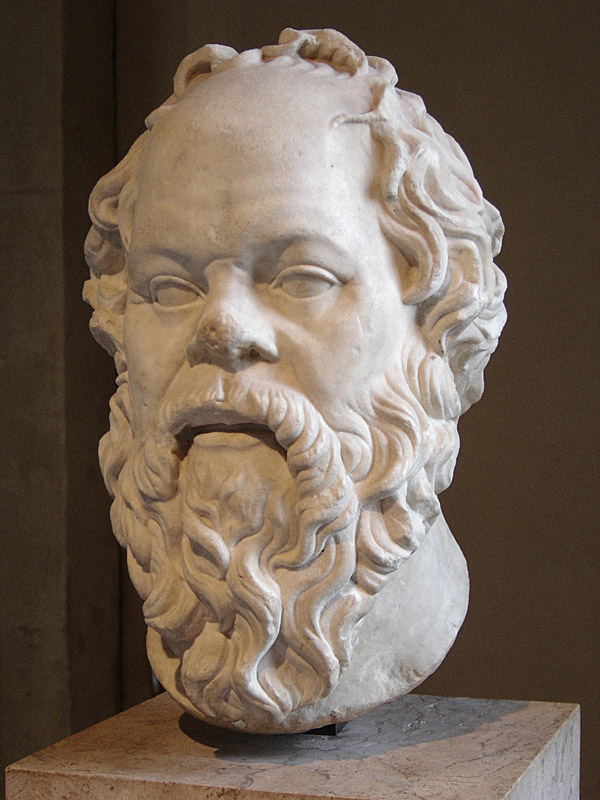 Attributed to SOCRATES by Plato, according to William L. Patty and Louise S. Johnson, Personality and Adjustment, p. 277 (1953). Below, I have made my own version of this sentiment to update it into current language. they show disrespect for elders and love chatter in place of exercise. not the servants of their households. They no longer rise when elders enter the room. cross their legs, and tyrannize their teachers. they show disrespect for elders and love gossip in stead of work. The kids these days are self absorbed, not members of their households. They are rube to adults.